UFile is absolutely FREE for millions of taxpayers. You may be one of them. Please click on the appropriate question below to see how you can use UFileFREE. Are you a post-secondary student? Is yours a simple return? Are you filing a Federal tax return for the first time? Is your total family income under $20,000? Would you like to try UFile ONLINE for FREE? File online on time - FOR FREE! You must be a resident of Canada, have tuition fees and have attended school for at least one month during the tax year being prepared. 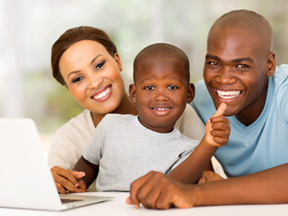 You must also be designated as the FAMILY HEAD (the primary member of the family) for purposes of your tax file in UFile. Enter the rest of your tax information and then you can print or NETFILE your return whenever you are ready -- free of charge! If you can transfer tuition credits to your parents or grandparents, you may prefer to have your tax return completed together with theirs. Tuition credits that are not used or transferred to a supporting person in the current year will be carried forward by UFile for future use by the student. Is your tax return simple but you still want to NETFILE for a faster refund? UFile ONLINE is absolutely free if you are reporting only employment income (one single T4) or income from a Canadian Government pension (OAS or CPP/QPP). You must also be entitled only to standard non-refundable tax credits, and have no other deductions or credits such as RRSPs, charitable donations or medical expenses. Your return may be simple but preparing and filing is not. Thank goodness, now there's UFileFREE! If you are a newcomer to Canada or you are just starting we want you to know preparing your tax return is not a difficult job - if you use UFile. If you select "Yes" when the CRA question "Is this the first year you are filing a Canadian tax return?" appears, UFileFREE! Welcome to the annual ritual of filing your tax return in Canada, from all of us at UFile! Are you a low-income taxpayer? If your total family income is less than $20,000*, you will not be charged any fee to print or NETFILE your return(s) with UFile. * Anyone may try UFile at no charge. Should your income exceed this limitation, you will be asked to pay to print the return or submit it via NETFILE only when you are completely satisfied. *This is based on the total amount from line 150 of the federal return of each member of your family. Even if you do not fall into any of these categories, we invite you to try UFile FOR FREE today. Prepare your taxes and pay only when you are ready to file!